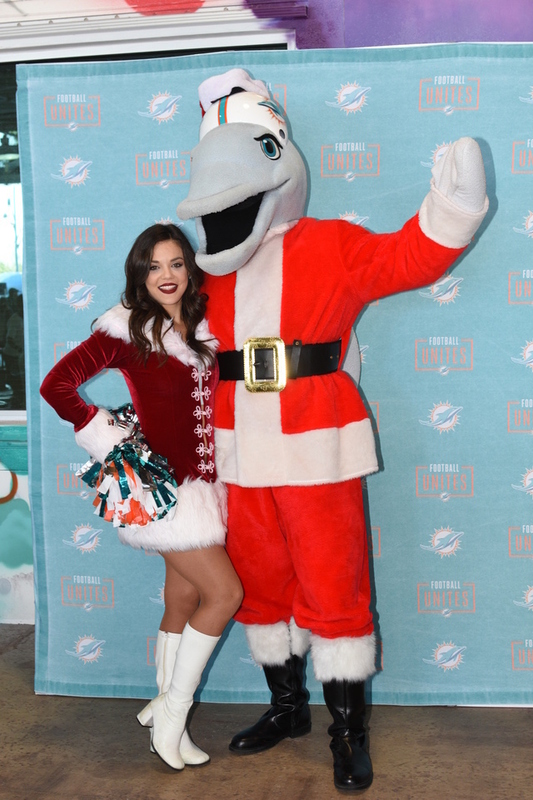 Miami, FL – The South Florida community again rallied around the Dolphins Cancer Challenge for the ninth annual event that raises money for critical cancer research at Sylvester Comprehensive Cancer Center at the University of Miami. More than 5,000 cancer fighters biked, ran, walked and volunteered in the event. The ethos of the day was celebrated by the 200 cancer survivors who participated – reinforcing the motivation of the Dolphins Cancer Challenge to tackle cancer. The Survivor Program presented by the Harcourt M. and Virginia W. Sylvester Foundation will continue to share the stories of #CancerFighters, those on the front line who galvanize efforts at the DCC. Kudos out to Tara Battiato, Sr. Cheerleader Manager, and staff for presenting an excellent Finals Auditions Showcase. Photos of the new 32 person squad have been posted on the Buccaneer website. Here are some pictures of the candidates as they welcomed entering fans and family for a rapid fire two hour performance. Very impressive choreography. The Tampa Bay Lightning organizes away game parties through out the Tampa Bay community. The demand is high so I stopped over on the weekend to catch the St Louis Blues game. 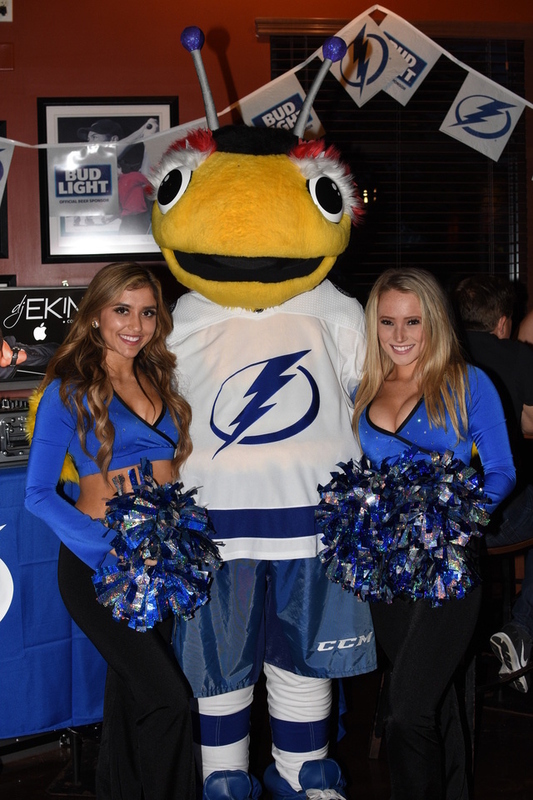 Lightning Girls Brittany and Kaley, both rookie year, represented the organization at Tampa Joe’s Restaurant/Sports Bar. Fun time for all so enjoy a couple dozen photos I added to my Lightning Girls album. Brittany and Kaley were great with all the fans. The Lightning Girls are enjoying a great season before record breaking sold out crowds. Good luck ladies as you enter the exciting Stanley Cup Playoffs.  Sahara, our good friend of the Blog, is in the Mrs Virginia contest. The winner will go forward to the Mrs America Pageant. 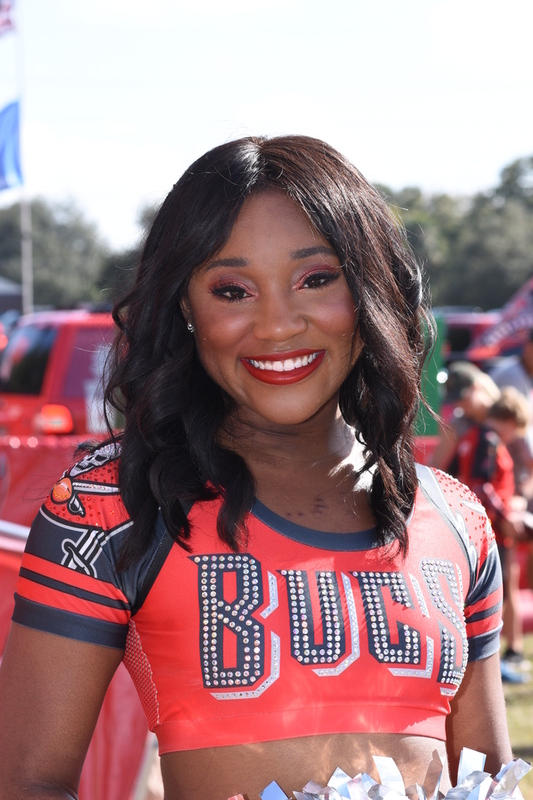 Sahara, who cheered 4 years for the Buccaneers, is representing Coastal Virginia where she has been living since moving from Tampa in 2013. 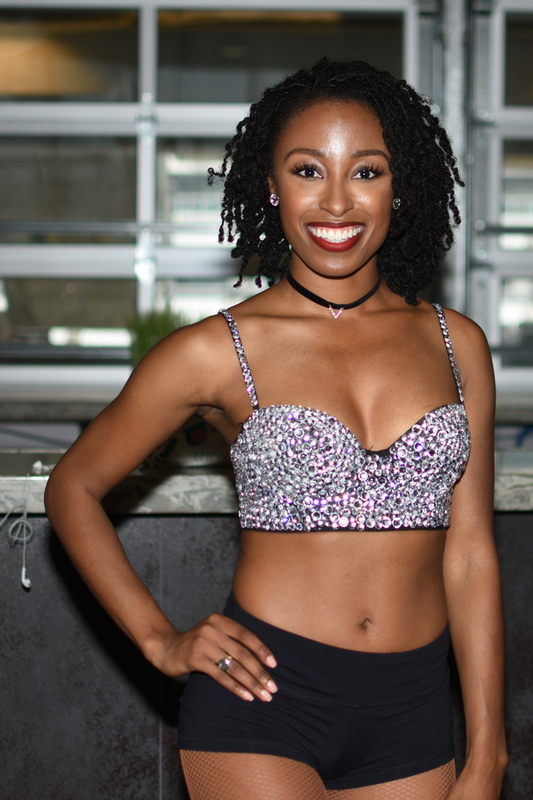 Prior to relocating, Sahara represented St. Petersburg in the Miss Florida contest. The link to vote and donate to Sahara’s charity cause is HERE. Over the last few seasons we were very lucky to meet and photograph the talented and beautiful ladies who are representing Florida’s NFL teams this season at the Pro Bowl. 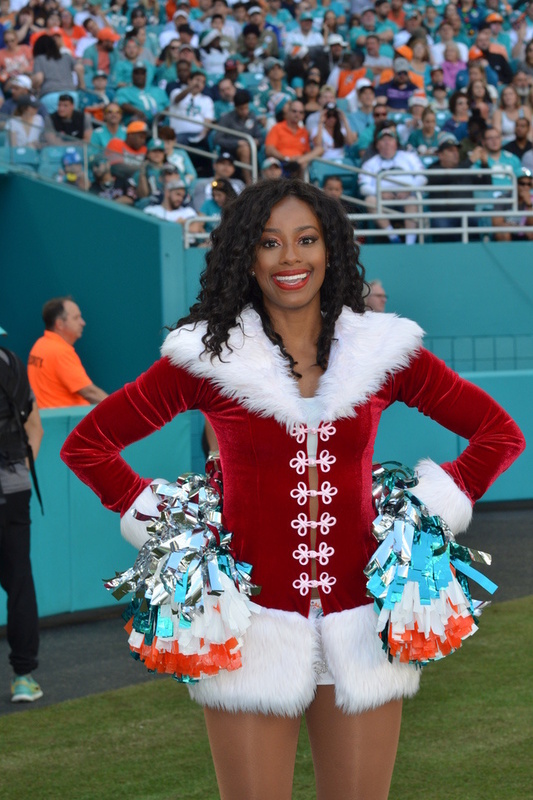 Allison of the Buccaneers, Jada of the Jaguars and Jess of the Dolphins. Good luck ladies, please send us in a trio photo from your week in Orlando. 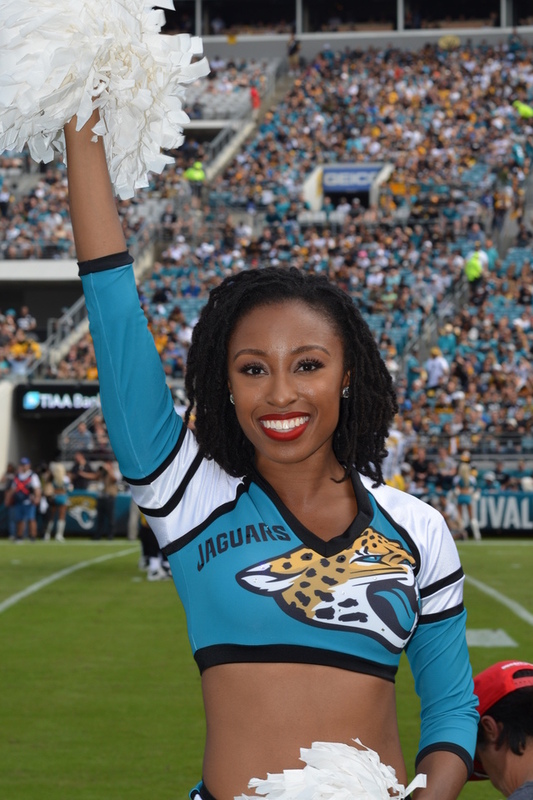 2nd year Jada of the ROAR is a fitness instructor and food blogger. 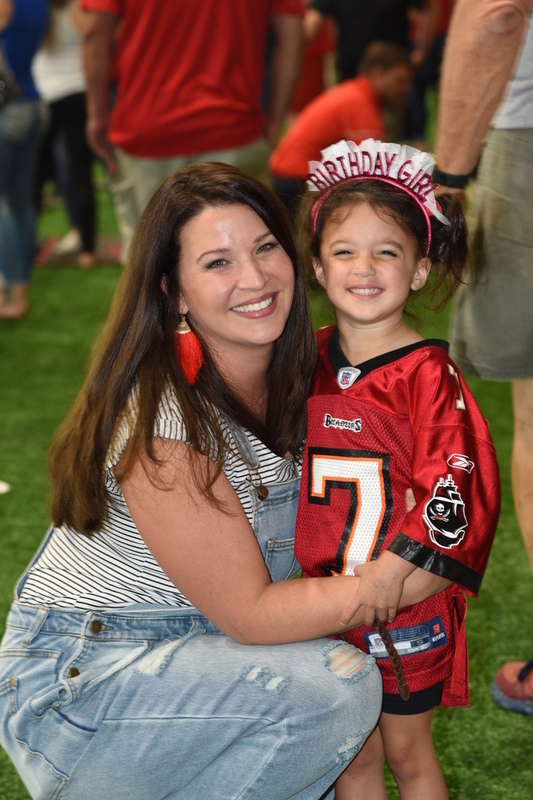 We added many photos to our game album of the Falcons at Buccaneers played last Sunday. Enjoy. Allison, line group captain. 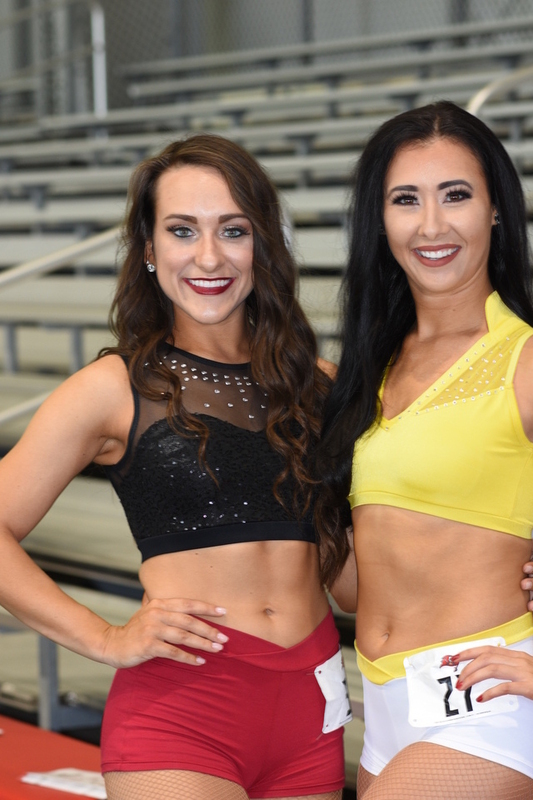 Allison will represent the Buccaneers at the Pro Bowl. 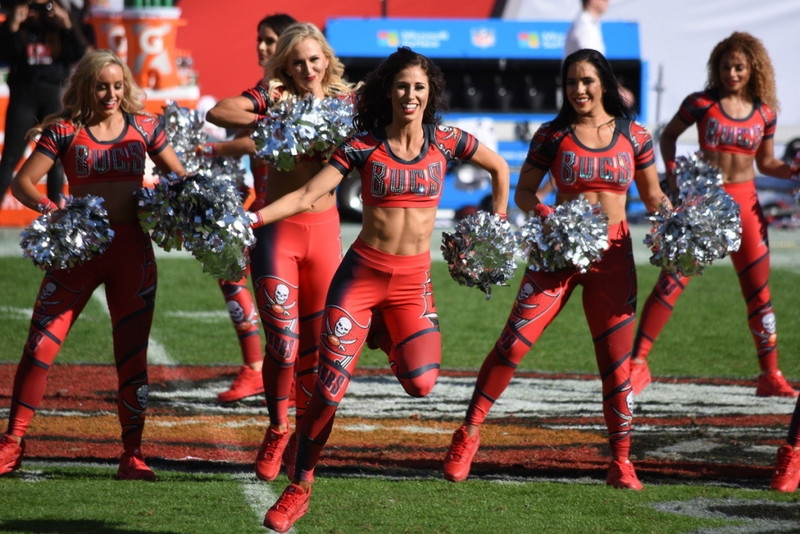 Another successful season for the talented and beautiful ladies of the Tampa Bay Buccaneers. Remember they are not responsible for the W & L results. 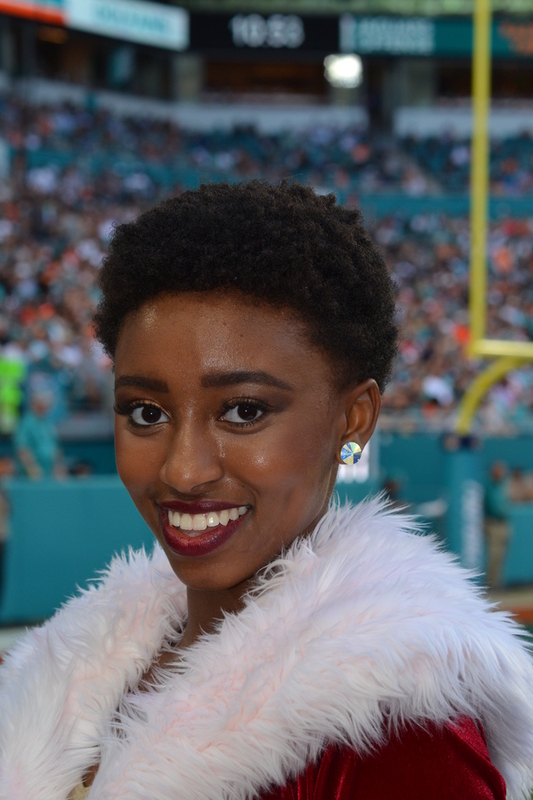 The halftime was very enjoyable as each cheerleader introduced herself on the jumbo scoreboard while showcasing her signature dance move at the 50 yard line. Hopefully the Buccaneers will post a video on the home page. My camera couldn’t keep up with rapid fire presentation. Exciting times in Tampa Bay as the Lightning finished the calendar year in first place of the NHL. 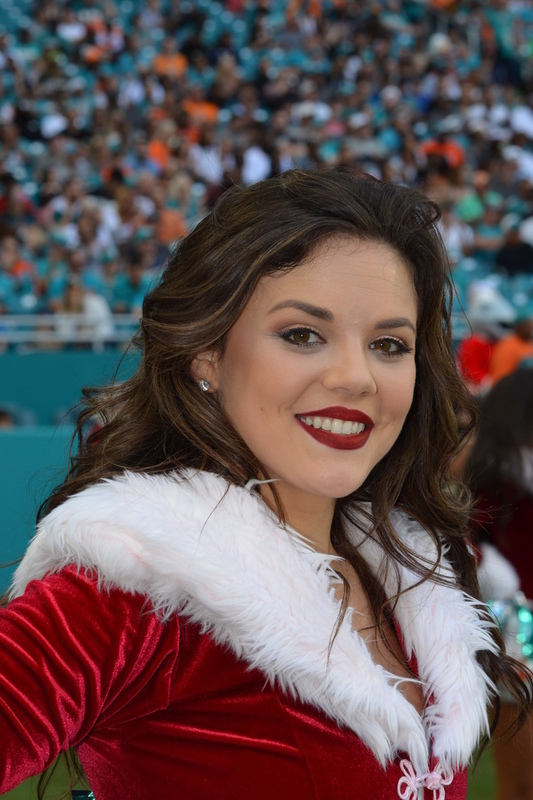 Here’s some photos of the talented, beautiful and fan friendly Lightning Girls. The ladies are led by their Captain, 6th year Alyssa. She should be vested in ownership pretty soon! Alyssa is enjoying her 6th year, looking for Stanley! Happy New Year out to our readers from the professional cheerleaders in my coverage domain. Stay healthy and keep in shape like these beautiful women. We added many more photos to our game album. Enjoy. 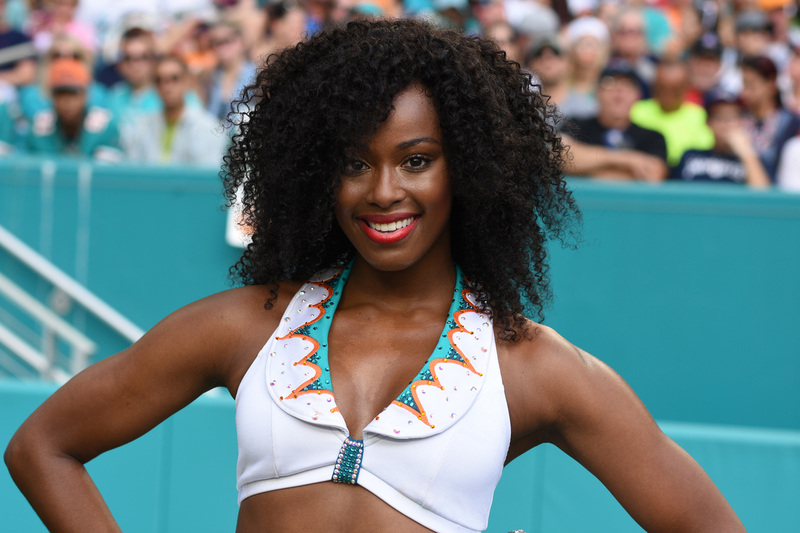 Special congratulations out to the first International Class of the Miami Dolphins Cheerleaders. Seasons 2016 through 2018. The following excerpt is from Tamara’s instagram page. 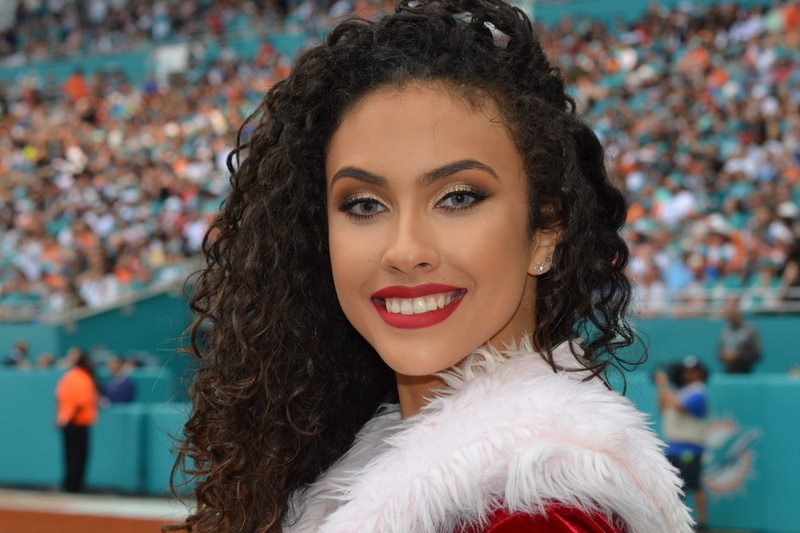 The Miami Dolphins Cheerleaders have posted 2019 audition information HERE. 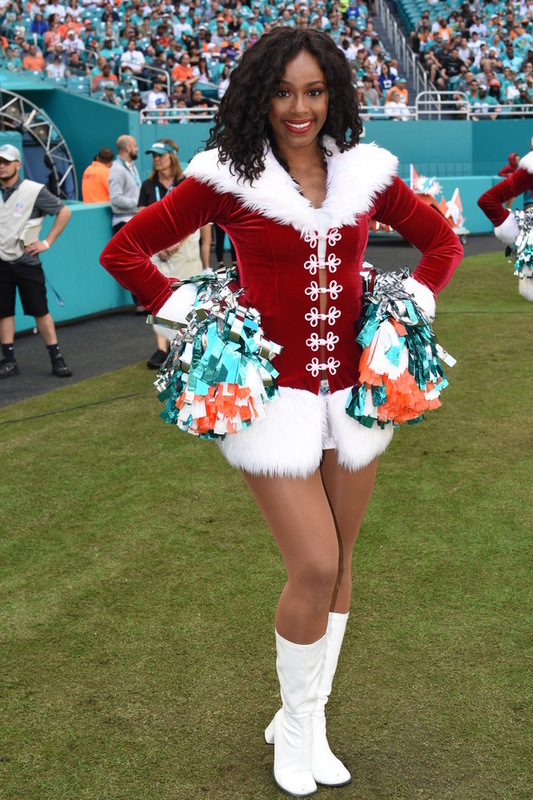 The spirit at the Miami Dolphins final 2018 home game at Hard Rock Stadium was holiday red as the cheerleaders dressed up in their iconic Christmas attire for the day. 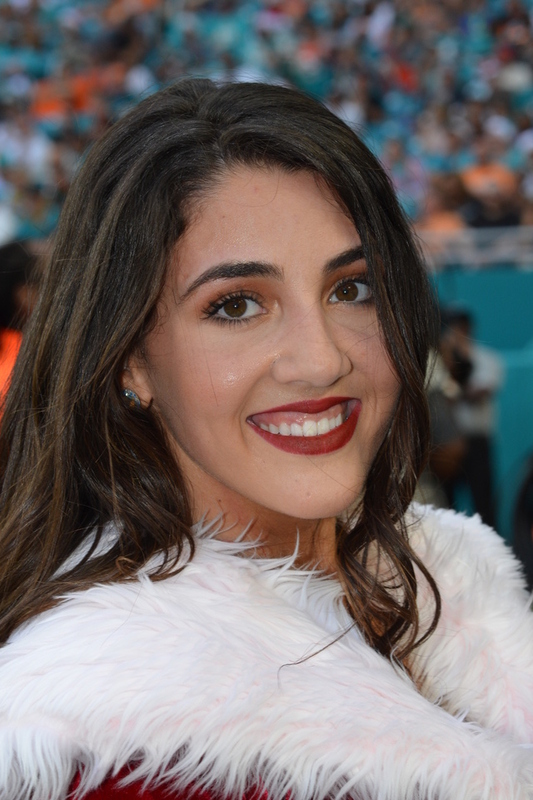 The ladies (along with alumni players) gave up their halftime break to participate in the ” 100 Yards of Giving” ceremony that honored 50 special guests on the field that embody the spirit of Teamwork at Work, a Dolphins community initiative focused on leveling the playing field through the power of teamwork to inspire a healthier, more educated and united South Florida community. Taylor, Jaguars. Santa was in disguise reviewing his naughty list. Hehe!